Processible materials:coal ash, coal cinder, slag, carbide slag, limestone, clay, river sand and silica sand,etc. 1. 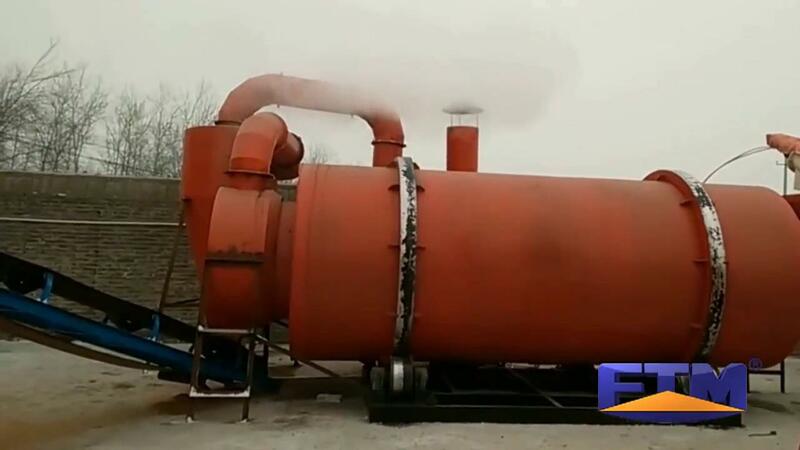 New type vertical dryer is mainly works in briquette machine production line, it is used for drying the spherical massive objects of shaped moulded coal, flue gas desulphurization gypsum,etc. The vertical dryer researched and developed by our group has solved the large investment and big size problem of traditional drying machine. 2. We introduce domestic and foreign advanced technology in product design, which completely embodies four basic indicators: creative,high efficiency,environmental protection and energy saving. It is an ideal drying equipment used in moulded coal production line and it can easily realized modernization, one-time batch drying. Vertical dryer is designed for the dehydration of coal pressed pellets .The vertical dryer can be used with the following equipments including coal briquette machine, conveyor, air blower, grinder, etc.The equipment is different according to the drying process.Scientifically validated,the vertical dryer is an ideal drying equipment in the production line for coal production safety and the environment protection. 1. Small investment, small footprint, low failure rate. 2. Good docking, easy docking with other equipments to form lines. 3. Continuous operation, high efficiency, large output. 4. Reasonable structure, convenient maintenance. 5. Saving investment, covers an area of 25㎡，no need workshop. 6. Internal adopts heat-resisting & wear-resisting alloy castings, long service life, convenient maintenance. 7. Thoroughly solved the big air leakage, not easy seal problem between dryer and furnace. 8. Countercurrent operation, high thermal efficiency, fast drying speed. Small exist concentration, just for 10g/m3. 9. Rely on gravity fall, no need power. 10. It Can use multiple grate basin, grate cone, adopts different angles and different spacing design; and its strong adaptability, suitable for drying slag, clay and sand, coal, iron powder, ore etc.